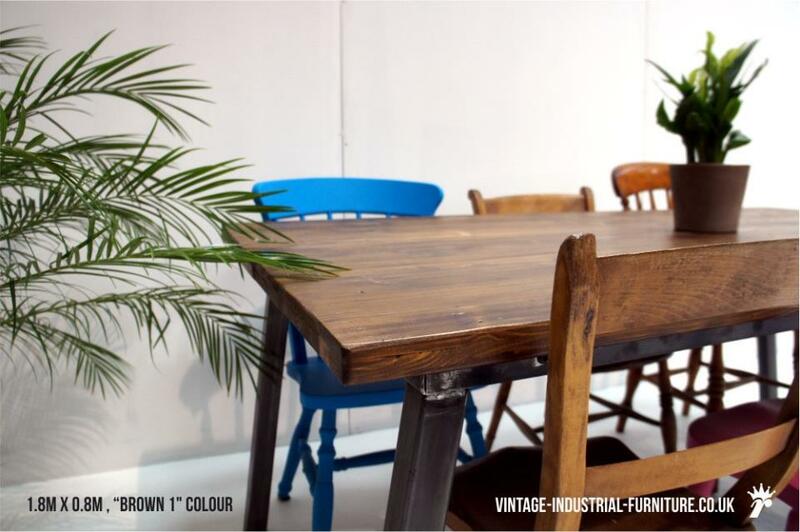 A super angled-leg vintage industrial dining table with reclaimed-style wooden table top and rustic looking metal legs which is an alternative to our popular Refectory Table. 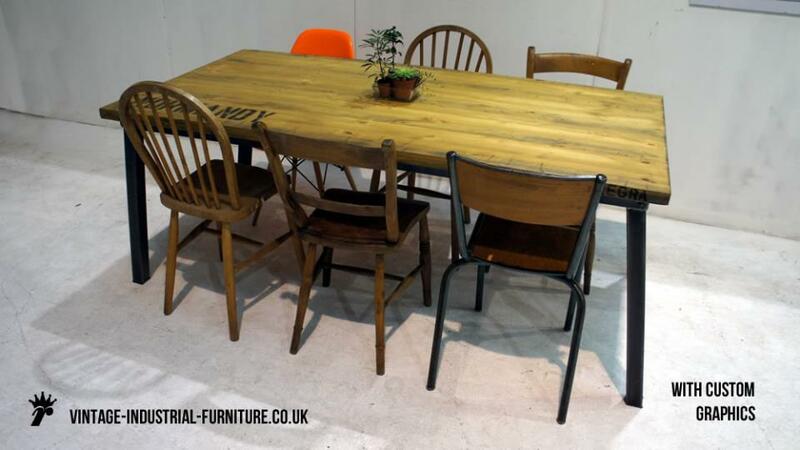 The 2m long x 1m wide version shown has plenty space for 6 chairs. 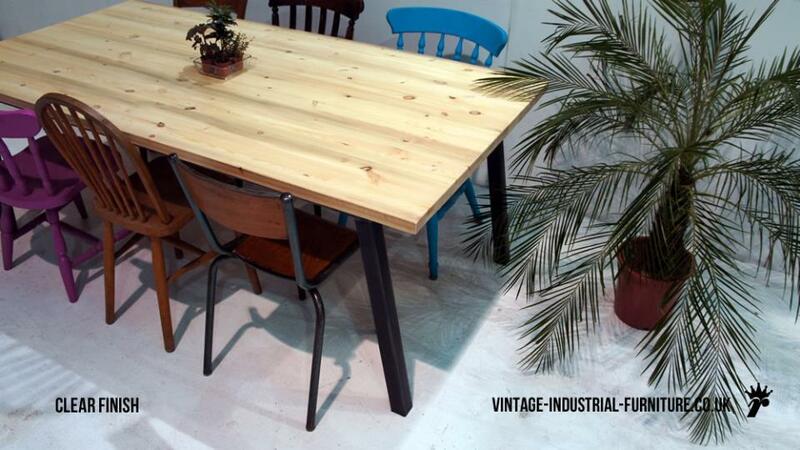 A vintage industrial dining table like this will look great along side other similar furniture or even as a vintage statement in a modern, minimally-styled home. The chunky wooden top is available in "clear", "natural brown tint" or dark brown stained colours ("brown 1" or "brown 2"). Please see the link below for a guide to the finishes. 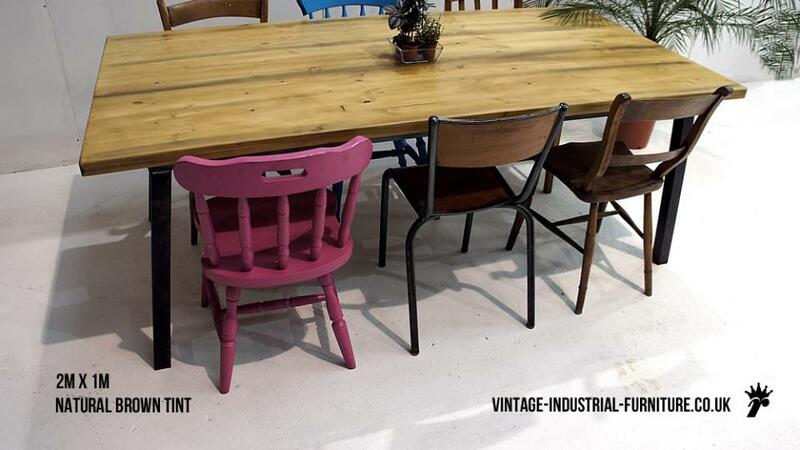 Our vintage industrial dining table is then hand-finished with wax, giving a beautiful satin lustre. Please ask if you require an alternative finish. Please specifiy your chosen top colour in the checkout message box. If you are looking for something similar to this, but with different features, please contact us.